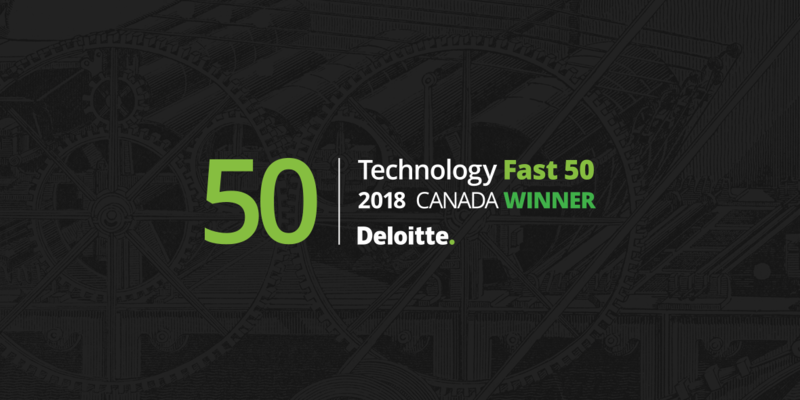 November 15, 2018 – LONDON, ONTARIO –The Deloitte 2018 Technology Fast 50™ and Fast 500™ have been announced today, with Arcane ranking 44 and 196 respectively on the lists. These prestigious designations recognize North America’s top companies that drive innovation in their industry which achieve the highest revenue-growth percentage over the past four years. This is the second year in a row that Arcane has ranked on the Fast 50. To qualify for the Deloitte Technology Fast 50 ranking, companies must have been in business for over four years, have revenues of at least $5 million, be headquartered in Canada, own proprietary technology, conduct research and development activities in Canada and invest a minimum of five percent of gross revenues in R&D. “We’re always striving to disrupt the industry with a system that is technology-driven and supported by complex data analysis across digital marketing,” says Eric Vardon, Arcane’s President and Co-Founder. Arcane’s mission is to change the reality of the marketing “spend” from an expense line to an income generator. Our team partners with growth-focused businesses in wide-ranging sectors across North America. Arcane is headquartered at The Cube in London and has offices in Calgary and Toronto. Arcane is independently owned and operated. Keep track of our journey, tweet us @arcanebrand or follow us on LinkedIn. Sign up to learn more about what's happening at Arcane and when new content goes live! © 2019 Arcane Digital Inc. All rights reserved.